What a tired week. Fuhhh...really tired but enjoyable sales visit to Govt offices..pecah peluh beb. 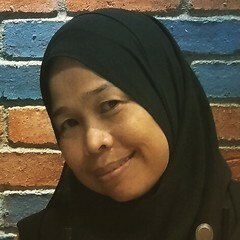 22 June meet up Sue at WM stn for LRT ride to Ampang Park then from there took public bus to Jln Ampang to PERKESO building. The visit is really short since we only wants to get chop and signed..heheheh. Sue is the leader coz I x know much bout taking public transports etc. We then took bus back to KLCC for the next visit to Lembaga Getah Asli...crossing the road huhuhu.... Done. Crossing the road again and stop to her office in UOA to take address of the next next visit. At least the rest and glass of tea with bread giving me sort of energy but my legs are damn tired..huhu. Next visit is Bgn MAS for Kebudayaan meeting Ms Helna...finally meeting her. This time I m really sweat...u know S W E A T! Its good ya ..heheeh...We walk again to MRT stn and the destination is KL Sentral...visit to MIDA and Aset Keretapi (hmmm...dont know bout this before). Uhhh...my shoe that I brought in Dubai needs a cobbler...where to find! Arghhh..time to buy a new shoe...hahahha...I bought a red shoe. Nice! So going to those two office with a new pair of shoe! Its fun but my foot are sooooooo tired. Losing calories and top up with RasaMas meal..yummy...yummy. What an achievement and cost saving...cost me only abt RM10 for sales visit to 5 places and took us only half a day! No petrol, no parking...wow. Back to office for the next errand...what a day!